but then I called GoDaddy to help me figure out where most of my photos on past posts disappeared to. Same ol’ song and dance. This blog is a Tragedy. Capital T.
All those pics I copied and pasted, well most of them at least, I haven’t figured out exactly when they’ve disappeared… are gone. Turns out I shouldn’t have copied and pasted, but saved the image and re-uploaded to my posts. WELL, THANKS VERY MUCH FOR GIVING ME THE WRONG INSTRUCTIONS! MULTIPLE TIMES! I cannot believe this. Some I can get through TimeMachine dot com, which will be ok, but then it’s saving and re-uploading all over again. Holy YOUKNOWWHAT. Plus, I guess I shouldn’t have said they *lost* my photos. I have my photos… I have thousands and thousands and thousands of photos. I just will have to find which photo I uploaded (because Carol did print off her early blog entries) then go through all my photos, then up load them, then put them in each and every post. Now doesn’t that just sound like *fun*? The alternative is to drop my “photographic journal of life on a Wyoming Centennial ranch”… since that’s true for only the past year now… I could shut down Red Dirt and start over with a new topic and just let Red Dirt fade into the atmosphere… though, I’m pretty unsure of what I can focus on. The pro’s tell you to focus on one thing… so… do I just post a photo? one a day? do I do projects and crafts??? do I follow the guys around and get a ranch “action” photo per day??? What about just video with a post just once a week? I don’t know how to do one focus!!!! I am too random to focus on one thing! I guess I’m just venting. I probably won’t quit… this appeals too much to the lazy writer in me… and I think I do this every fall, have a crisis and doubt myself and then I go back to work because I’m too stinking stubborn to give up. But, man, oh man, GoDaddy didn’t have to do this to me! I could have gone on for years without losing my photos and been just happy as a lark! Don’t give up. I love reading your posts and do so every nite. Carol, I agree totally with Susan Lemmon’s comment. I love and look forward to your blog everyday. It is so great to see your ranching family and activities, as well as your beautiful photos of the Wyoming scenery you post. I get to “live” vicariously on your ranch away from the hustle and bustle of the impersonal city life. It is a dream come true for me, even though I can see and am amazed at all that you do and your extraordinary creativity. But please take care of yourself too. We all (out here in Blog land) care about you! Thanks for sharing your life with us. Like many of your followers, I love to see how your days on the ranch go, but blogging every day takes time and I thank you from the bottom of my heart for the enjoyment you have given me the last few months. Finding other Longmire fans AND that you get to go to Longmire Days was a big bonus. Don’t know much about blogging but do follow many and your’s is the first I’ve ever left a comment on as it was an easy process. You love the writing and sharing of your photos you just need to find a decent digital blog to work with. Attic24 and the Pioneer Women blogs I follow don’t bog every day, so take time to reflect what gives you the most satisfaction and least stress. Not sure digital will ever be without stress!! Take care Carol as you ponder the best way forward. Use Blue Host…At LEAST they have tech support and they do know what they are talking bout! It is mean switching…I use Blue Host for my 3 web sites and all 3 have a blog and photos…I use word press too! Good Luck! Carol, I’m so sorry to hear about your losing all your pictures and stuff. What a horrible thing to discover. I can understand your sadness and disgust and disappointment over what has happened. I hope you won’t quit but I’ll understand if you decide to. I have greatly enjoyed reading your blog and hope I can continue to do that. I’ll pray that things get better for you. Please, please, please DO NOT stop writing your blog. Vicariously, I am finally enjoying ranch life!! Too bad I didn’t realize it was really a great thing when I had it!! You are an amazing person, Carol, and I do so enjoy all of your “Red Dirt”! Sorry to hear that many of your pictures were lost. How frustrating. I do hope you continue to post Red Dirt In my Sout. I look forward every morning to reading about your adventures, your crafts (you are so talented), and the activities in your community, and of course, viewing your great pictures. When I posted on my Facebook page, a link to one of your videos, I was surprised that several ladies in Ohio, already followed you. That’s great! I *love* it when my posts get shared! Please don’t stop, or change the sort of things you post! I love the variety and yours is the only blog out of many many that I used to have on Google Reader that I still keep up on consistently. I probably couldn’t even tell you what most of the others were. I’m so sorry so many of your pictures vanished!! How incredibly frustrating! Oh, Della, I’m not too random??? You’ve been following for a while, and sometimes I just wonder! I guess I’ll steal your word and call it a “variety”! Mary, you’re a sweetheart to volunteer! I need to figure out what/when/where with this thing… stop in the library when you’re here, we’ll chat! Like many other of your readers have said, I always read your blog, and love it. It provides me a visit home daily. I have no idea how to do what you do on the computer, but I appreciate how much time, energy, and dedication it requires. I would say to you, search your life and do whatever is right for you and your family. Only you can be the judge – we only read about your life and you must live it. Please do not stop. This city gal loves reading about the ranching life and looking at your glorious photos. I particularly like the shots of the working ranch, horses, cows, dogs, chickens, crafts, kids, cars, you name it. Thanks for hanging in there. Your blog is wonderful! Please don’t stop! I’m a fellow Wyoming rancher(on the other side of the State) who enjoys your stories and pictures. Makes me feel like I am not alone in Wyoming. Being a rancher far from everything is hard and your blog makes me know that there are others out there who know what I go through. If you need to take a break, do it, but please come back. Jacque, where are you? Thanks for your support! We are south of Newcastle. Please don’t stop. Take a break, but please don’t stop. I just love everything about your blog! I’ve never been to Wyoming, but I lovelovelove this blog just as it is. Ranchlife is fascinating to this suburban girl! Your photos are beautiful, and our glimpses into your everyday life are fascinating. I do hope GoDaddy’s incompetence won’t push you away from blogging. Liza, you’re sweet! I’m kinda addicted to this blogging thing, but GoDaddy sure didn’t help my mood! Thanks for the kind words. Oh no! I sure hope you can find a way to continue. I read your blog everyday and enjoy all the topics and the pictures. Your blog is my Wyoming connection when I’m not in the state for months at a time. I just looked at the The Prairie Homestead ( I used to have it bookmarked), and as far as content, your site is of more interest to me and probably others! Keep up the good work, Carol. Your fans are rooting for you! Really? Lol. I won’t tell Jill! I think her blog is cool as far as homesteading goes… and that *IS* the “in” thing… Thanks for being a fan! Please don’t stop! Every morning I check your blog which makes the day at the office manageable. You have inspired me in many ways. By the way next week the husband and I will be traveling around Wyoming for 2 weeks to see your lovely state. You are truly an inspiration. Gina, enjoy Wyoming and thanks for the kind words! Are you coming through Ten Sleep? Drive safely! Watch for deer! We are traveling without any plans we are going to be like leaves in the wind. We have a truck, cooler of food, and tent. If we stop in Ten Sleep I will leave a message at the library. We are so excited to see your state. We are going to start in the south and work our way up. We are not going to Yellowstone because we have already been there. Can’t wait to leave. 3 more days. Carol, a lot of people love the variety of your sight, although just photos is great too. I have a couple of WordPress sites that have nothing to do with GoDaddy and have been pleased with them although I don’t do anything too complicated. 2 of them I don’t really use much as blogs, just information sites. Good luck! Well, if they had kept their quickblogcast program, none of this would be an issue, but that’s all under the bridge now! WordPress is nice, I agree! Yours is the only blog I read faithfully everyday, and am so grateful for all that you do to keep it interesting! I LOOK FORWARD to it…I start my day with it…and I love following all the activities on the ranch. The scenery is always a “pick-me-up”!! And the variety of subjects never fail to keep my interest. I hope you will find a new “host” so we can all continue to enjoy your photography, writing, sense of humor, and Western adventures. Thanks, Marilyn, I knew you’d be there supporting me! I reallyreally appreciate your readership and commenting! I’m talking with people and hosts, I imagine I’ll be here for you! Thanks for everything! Have you looked at using wordpress? I do use wordpress now, but I didn’t for a while, that’s where this mess all started! Oh no!!! PLEASE don’t stop writing. Many of us get to live vicariously through you and your writing. 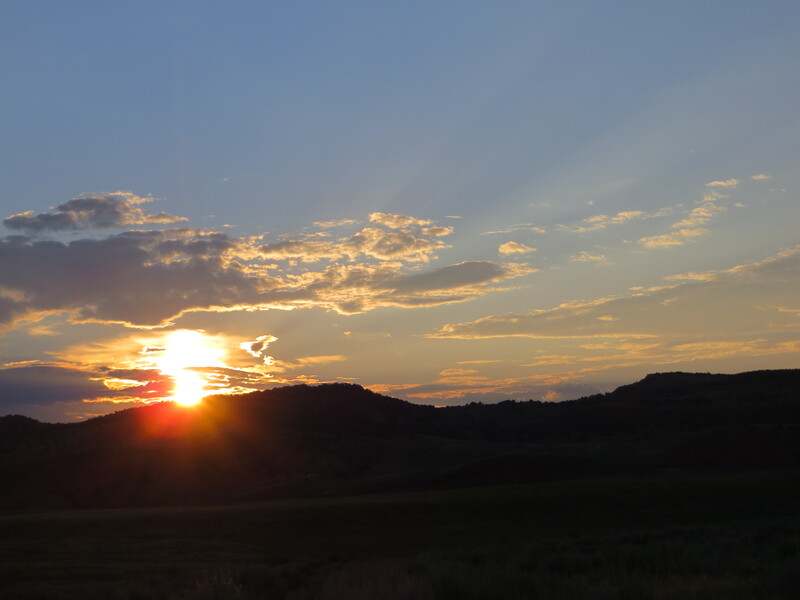 Your pictures just help us even more to enjoy the lifestyle and beauty of Wyoming. Praying that you find a good solution and a better “host” going forward. Just keep going forward, please!!!! Forward! Will do! Thanks for your support! Even tho I rarely comment, I read your posts every single day and enjoy them so much. I hope you keep it up and i will try to comment more often to let you know I appreciate so much what I learn about the beautiful state of Wyoming from you. I’ve visited many times and miss it enormously when I miss a year. Judy, thanks, I do love it when people comment and share… it really does help to know there are people out there reading! I love your blog! I too, would miss it if you stopped…you introduced me to (and got me hooked on) Longmire and many other cool things. I agree with Susan Lemmons…just make re-posting all the photos blizzard day projects! Keep going forward. We will all understand. Yay, Longmire has brought lots of people to this blog actually! I hope we don’t get that many blizzards, but I’ll keep it in mind! Thanks for your support! Please don’t give up! I love “visiting” Wyoming and you each morning, and I love the randomness of your posts. It’s like visiting with a friend each day. So yes, this is a selfish plea. But if you think about it, you *have* been writing a story for your kids and grandkids each day. As a fellow blogger, I know that my tiny tiny audience keeps my feet to the fire in terms of getting stories down on the “page”. If it weren’t for my blog, I wouldn’t have documented any of our little daily tales. Someday I will invest in making my blog posts into books. If you choose to self-host, I have used ipowerweb for years for our farm website but I don’t have any experience with them and wordpress. Good luck! Hang in there! How else would I have known to read “Spirit of Steamboat”? I enjoyed it and now I appreciate your artwork even more! I agree with Kris when she says that you actually are writing stories each day. What a great way to pass those stories on to your family! As a family member, albeit somewhat removed, I appreciate and enjoy it greatly. In my mind, that’s reason enough to continue…but that’s easy for me to say since I’m not the one doing it! 🙂 The added bonus is that your followers also get to enjoy them. I also have to say that I’m always amazed at all the things you manage to do AND write about in your blog. You have more energy than I do, for sure! Maybe a good solution would be to decrease the frequency to maybe three times a week instead of every day? Rita, thanks for your input! The 3x a week is a great idea, that’s why sometimes all you get is a photo! I think I just need to let myself do that more often and not think I need to write a post EVERY day. Maybe that’d take some of the pressure off! Kris, thanks for the tips.. I’ll go check it out! I’m so glad you’ve been here and supported me… honestly! It’s like you said, you have all your old blogs printed out for your grandkids and prosperity. Your regular readers will understand. We know how busy you are and if they are like me, they are amazed at how much you do in a day! So just hang in there! We love you! Thanks, Susan! I appreciate all your support and encouragement and comments! !